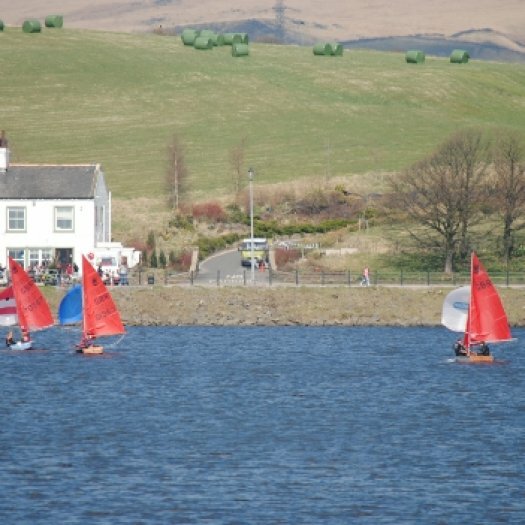 At last, Mirror sailors might have said, we have a day of sunshine and a pleasant wind for racing. 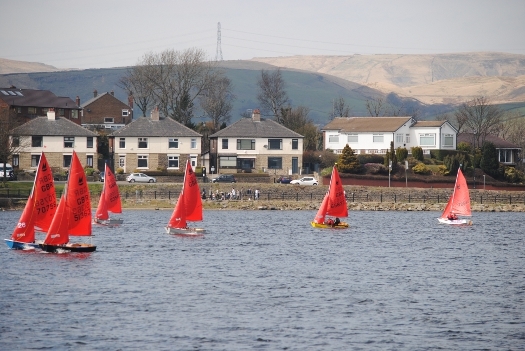 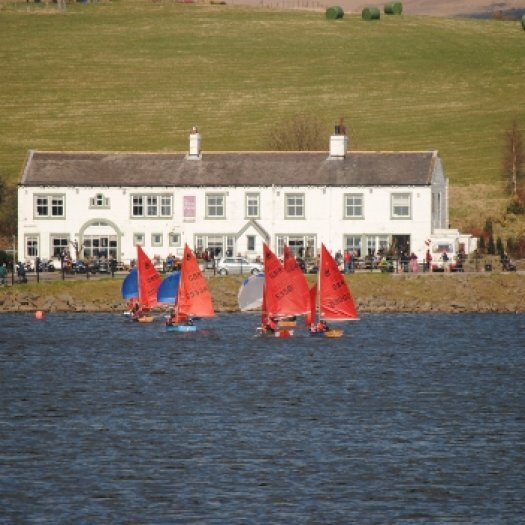 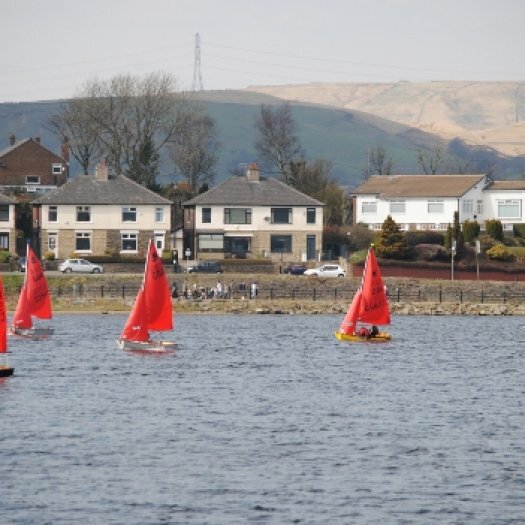 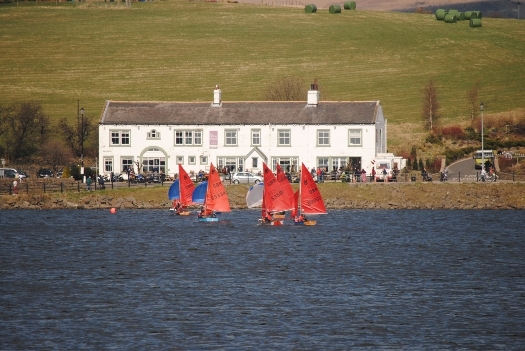 Hollingworth Lake welcomed 9 visitors to the Open Meeting on Saturday, 20th April. 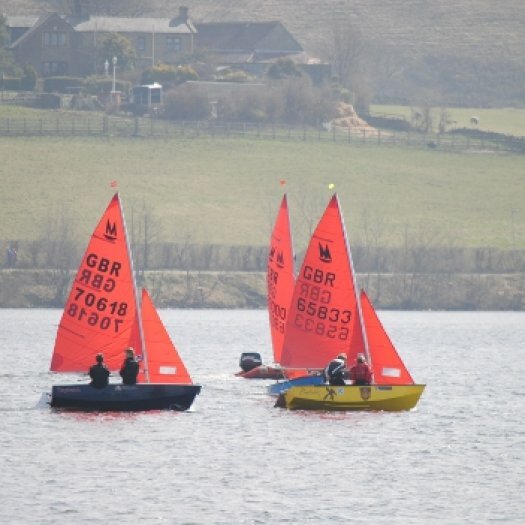 The event was dominated by 3 boats from Beaver SC, with Emma Grayson and Ben Settle taking the win, with a particularly clear margin in the third race. 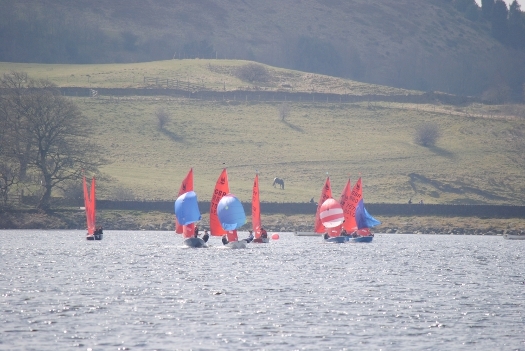 The south-westerly breeze, with occasional strong gusts, arrived an hour before the start. 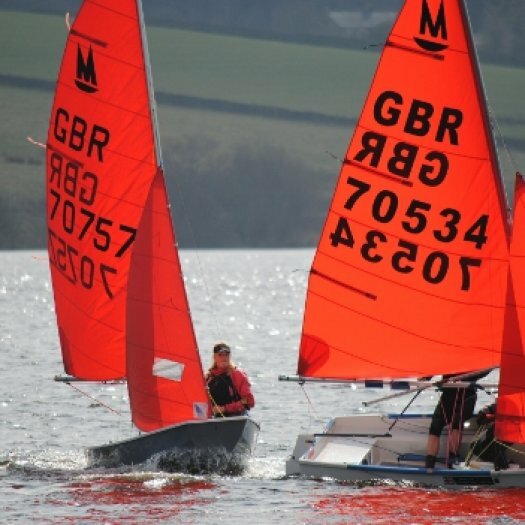 The wind direction gave the opportunity for good downwind spinnaker legs. 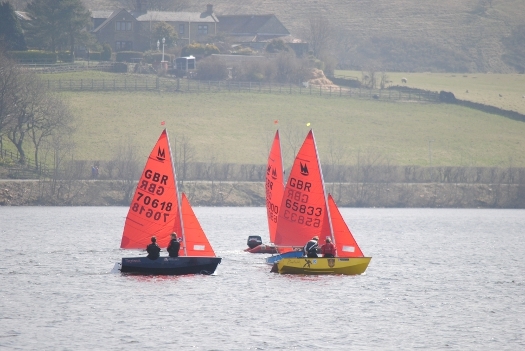 Tom Dean and Ellie Ben held off Club rivals to take the first race. 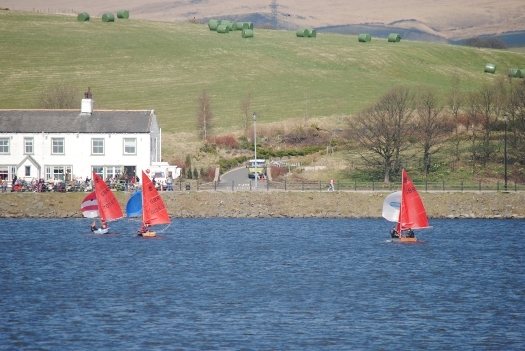 The second race again saw the leading Beaver boats well ahead of the competition. 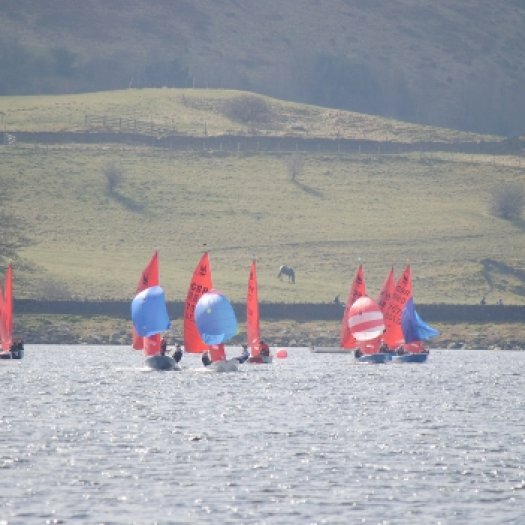 At times, they were so close together downwind that any one of them could have gained the lead. 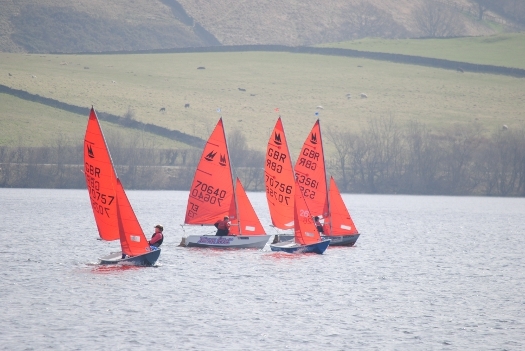 However, as the wind shifted from time to time, it was Emma Grayson and Ben Settle who met the challenge and took the win. 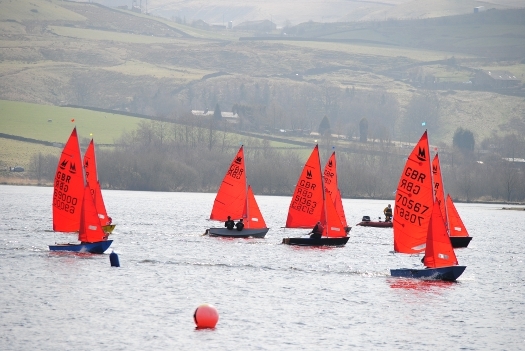 The third race was sailed back to back with a change of course. 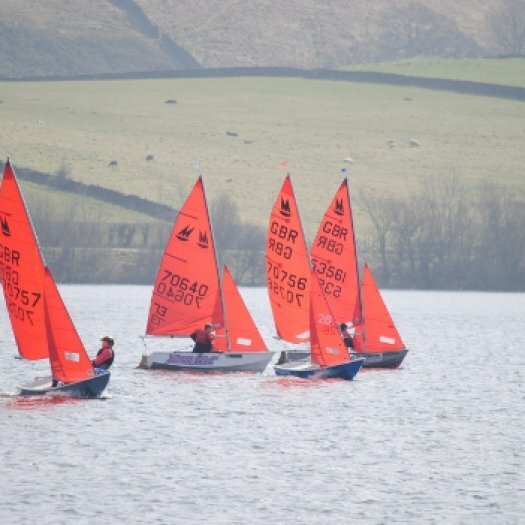 This time Emma Grayson started at the port end of the line on starboard then tacked top cross the fleet on port making clear who was in charge and so built a strong lead from the first mark. 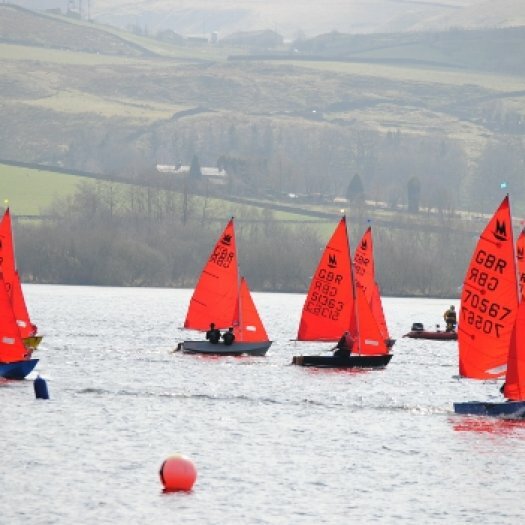 Now Emma Clayton and Faye Caswell joined in the fun and battled with Tom Dean and Ellie Ben, and took the second place in a close finish. 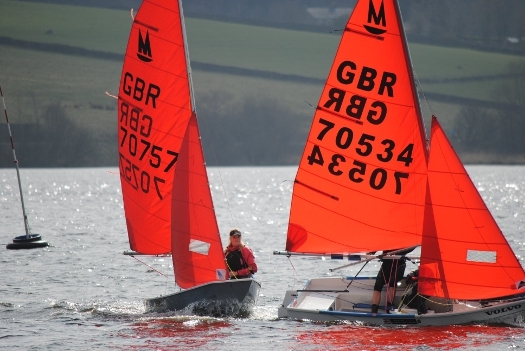 There were two single-handed sailors racing and David Hughes's local experience gained him consistent fourth place in all races. 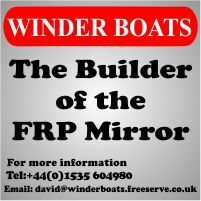 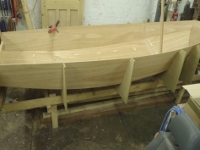 Thanks to Winder Boats for prizes.